Update | The BBC will be serving up 15 live HD streams from this year's Wimbledon Championships as the BBC marks 90 years of coverage. During the Wimbledon fortnight, the BBC Sport website and app will be home to 15 live HD streams. The streams will offer rolling highlights, in-depth pundit analysis, infographics and live votes. Viewers with devices that support the connected BBC Red Button+ service, including modern Freesat receivers, Virgin TiVo and YouView boxes will also have access to these 15 streams. Six of these video streams will also available on the traditional BBC Red Button, which is currently testing on satellite for Sky and Freesat viewers with additional feeds available on Freeview for viewers with Freeview HD or Freeview Play compatible equipment. Coverage of the Wimbledon Championships started on radio back in 1927. A decade later, the BBC TV service carried coverage for the first time. Last decade saw the launch of multi-screen coverage via the Red Button and the launch of HD coverage. This year, the BBC is extending its coverage even further by broadcasting the main show court from the Wimbledon qualifying tournament, thus building the excitement ahead of the main event and offering tennis fans even more live action. 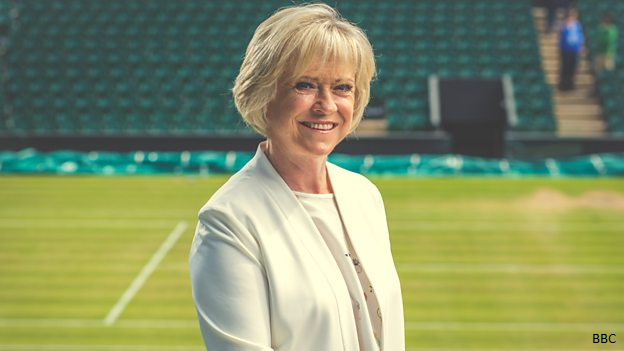 On TV, Sue Barker will once again be at the helm of the BBC’s Wimbledon television coverage, presenting daily from the heart of the action at the All England Tennis Club. 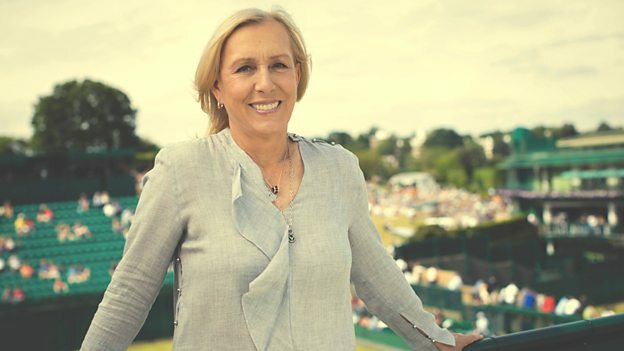 Over the two weeks Sue will be joined in the studio by a top class line-up, including tennis legends Martina Navratilova (pictured above), John McEnroe and Billie Jean King. BBC Two will once again be the home of the nightly highlights programme, Today at Wimbledon, led by Clare Balding. On radio, BBC Radio 5 live will be live from the All England Tennis Club throughout The Championships bringing colour, commentary and compelling content to listeners every day from midday. Eleanor Oldroyd and Tony Livesey lead the coverage on the station while over on 5 live sports extra, Karthi Gnanasegaram presents the coverage of the day’s early matches.